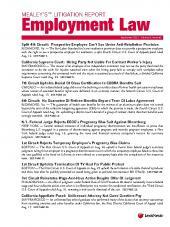 Monthly newsletter follows federal, state and local litigation involving water rights. 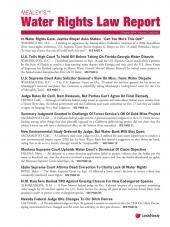 Mealey's Water Rights Law Report follows federal, state and local litigation involving water rights. 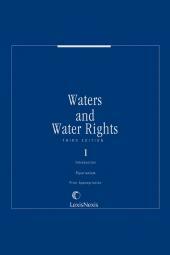 The report also covers federal and state regulatory and legislative developments, as well as rulings by administrative agencies tasked with creating policy and writing regulations governing access to water. 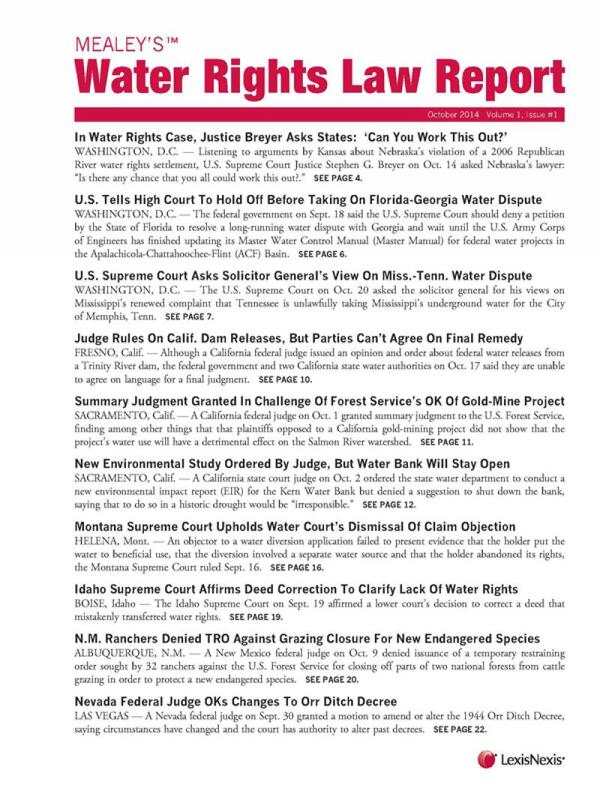 The newsletter reports on civil actions by property owners against other property owners, lawsuits by and against water districts, utilities the federal government and Native American tribes, litigation involving large-scale water bottlers, litigation involving water use regulation by water districts and regulatory agencies, and interpretation and applicability of the Endangered Species Act and the federal Clean Water Rule.